Have you noticed how people take their Email very serious these days? All it takes is just one ill-advised message and a customer/prospect can be lost permanently. There’s no second chances. If you opt to invade a person’s email space without exercising due diligence you run the risk of having the entire campaign backfire and become an abysmal failure. Yet, it doesn’t have to end that way. Email marketing when accomplished with a targeted purpose and good strategy can be a very effective tool in your marketing arsenal. The goal is for recipients to immediately see the value in your message and to not feel bothered by a perceived unnecessary intrusion in their life. At Outside Connections, LLC we view Email marketing as a tool available to many businesses who have a need to stay in contact with their clients. Whether the purpose is to pass along critical new information or to simply remind the customer of your existence, the process is much the same. The end result, however, requires proper formatting and acceptable solicitation etiquette. Furthermore, building a qualified mailing list full of receptive individuals is no easy task. 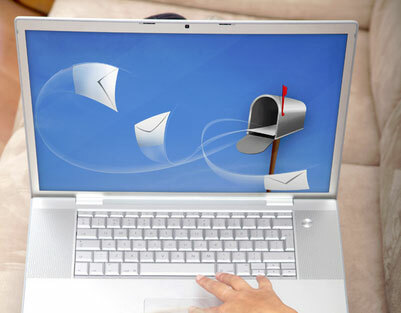 Maintaining that list over the course of your mailing campaign requires even further care. For most businesses their mailing list is gold and that’s a commodity where you don’t entrust it to someone not capable of delivering results. If you’re ready to explore the marketing possibilities available with Email or if you want to enhance existing efforts with something new, please contact us today. We’d be happy to set-up a free, no-obligation consultation with you to develop a strategy that best meets your business needs.